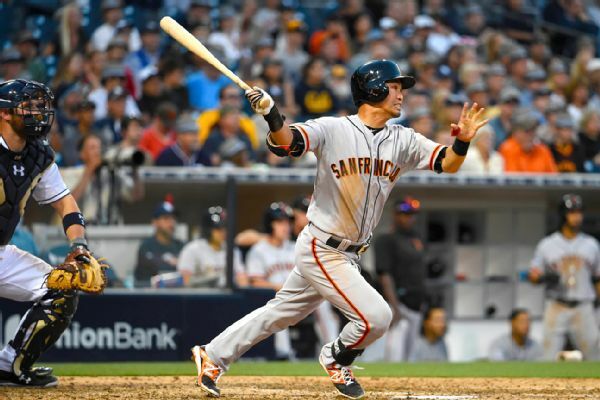 The Giants activated left fielder Nori Aoki from the disabled list Monday in time for him to return against the Brewers, who scratched right fielder Ryan Braun because of lower back tightness. The Giants need a third baseman. Right now, the team's website lists Joaquin Arias as the starting third baseman, and that's not a good depth chart if you're counting on Joaquin Arias to be your starting third baseman. 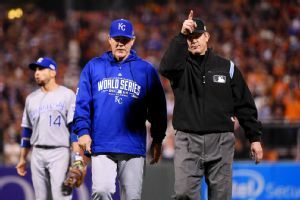 Kansas City manager Ned Yost could tell he was going to lose his challenge, even before the umpires got the final word from the replay room. 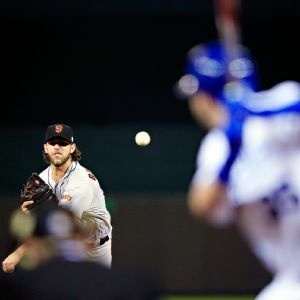 With the World Series tied, the Royals and Giants have achieved upset victories to get this far and set the stage for tremendous season-ending drama, Jerry Crasnick writes. Will fatal flaws haunt NL teams? On Thursday, we looked at the fatal flaws of the four American League playoff teams. Now let's check out the National League teams and how these issues may end their postseason runs. The starting lineups for the NL wild-card game have been announced. A look at some of the in-game decisions that may result. San Francisco Giants third baseman Pablo Sandoval left Saturday's 5-3 win in the first inning with a left elbow bruise after he was hit while swinging at a pitch. San Francisco first baseman Michael Morse has been scratched from the lineup after fouling a ball off his left foot during batting practice.